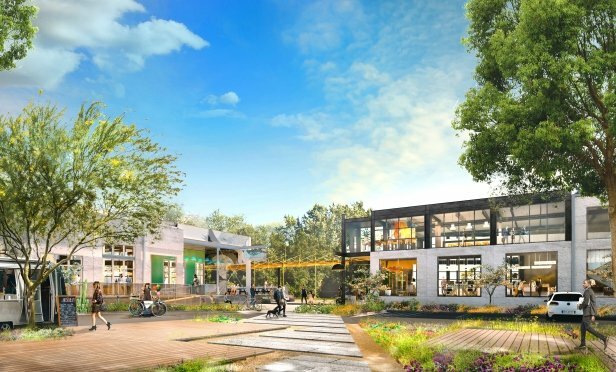 Heights adaptive reuse project, M.K.T., will provide an infusion of creative office space for which there is growing demand but little available inventory in Houston despite its wider appeal in the country. The project will convert five industrial buildings into a new urban district with office and retail. HOUSTON—Houston-based Triten Real Estate Partners’ recently announced Heights adaptive reuse project, M.K.T., will provide an infusion of creative office space for which there is growing demand but little available inventory in Houston. M.K.T. is located at the southeast corner of North Shepherd Drive and the Heights Hike and Bike Trail.